Baird Brown received his undergraduate degree from Northwestern University and his law degree from Stanford University. Mr. Brown has been in private practice for more than 35 years. Mr. Brown has been AV rated by Martindale-Hubbell for more than 30 years. Mr. Brown is admitted to practice before all California state courts, the United States Court of Appeals for the Ninth Circuit, and the federal district courts in Los Angeles, San Diego, San Francisco, Sacramento, Las Vegas and Kansas City. Mr. Brown’s practice focuses on complex civil litigation. 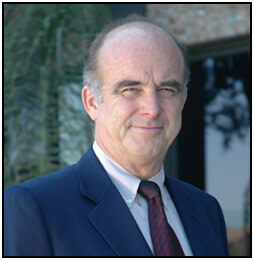 Mr. Brown has handled numerous cases involving serious personal injuries, wrongful death, pharmaceutical and medical device injuries, product defects including motor vehicle defects, commercial law, real estate law, securities fraud, professional malpractice, unfair competition, entertainment law and wrongful employment termination. Mr. Brown also has a substantial transactional practice. Stanford University Law School – J.D. AV rated by Martindale-Hubbell for more than 30 years. Mr. Brown is admitted to practice before all California state courts, the United States Court of Appeals for the Ninth Circuit, and the federal district courts in Los Angeles, San Diego, San Francisco, Sacramento and Las Vegas.